A stock buyback is when a company uses part of it revenue to repurchase shares of it own stock. These purchases can be made either on the open market or through special offers made to the shareholders. The Securities Exchange Act of 1934 prevented companies from doing anything to manipulate their stock prices. 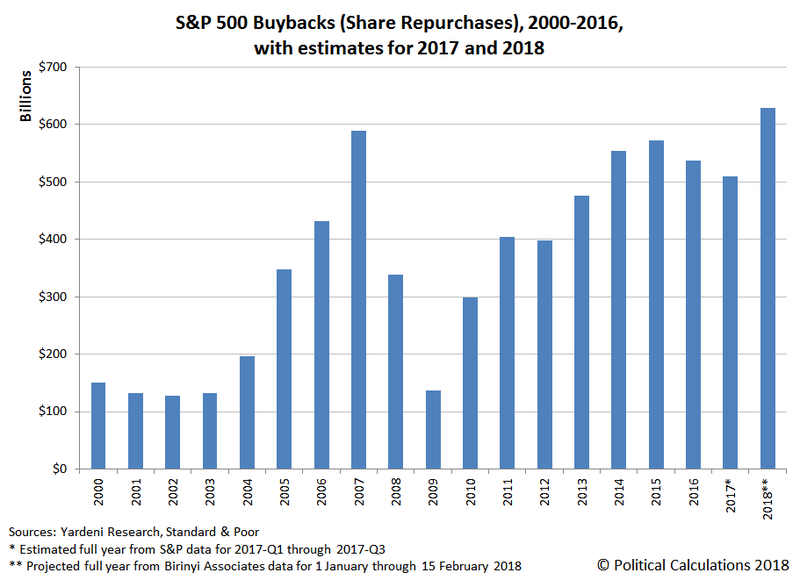 Stock buybacks were not illegal, but since the Securities and Exchange Commission (SEC) issued no guidance regarding what circumstances they might consider stock buybacks as price manipulation, companies simply avoided repurchasing their own stock. The SEC considered providing companies with guidance throughout the 1960s and 70s but failed to do so. It wasn’t until President Regan appointed John Shad to head the SEC in 1981 that rule 10b-18 finally provided a “safe harbor” for companies to follow in stock buybacks. So long as companies follow those rules, such as not buying more than 25% of the stocks average daily trading volume in a single day, they can’t be accused of stock price manipulation. Normally the United States does not tax profits which are earned overseas and which remain overseas. But the Tax Cuts and Jobs Act of 2017 allowed a one-time repatriation of cash profits in overseas subsidiaries at a tax rate of 15.5%. Many companies chose to pay this lower tax and move 30 years of profits back to the United States. Some of that extra cash went to stock buyback programs. What are the economics of stock buybacks? Imagine a stock selling for $150 per share with earnings per share (EPS) of $10. The stock’s price per earnings (P/E ratio) is 15.0 ($150 divided by $10). If there are a million shares outstanding, the company worth or capitalization is $150 million and its total earnings is about $10 million a year. If the company devotes 15% of its earnings to buying back stock it will be able to repurchase about 1% of the outstanding shares or 10,000 shares for a cost of $1.5 million. Assuming the market does not move and the stock is still selling for $150 per share, the earnings per share will rise from $10 to $10.10 because there are less shares outstanding. ($10 million in earnings divided by 990,000 shares). The stock’s price per earnings will also lower from 15.0 to 14.85 ($150 divided by $10.10). But the capitalization of the stock will have dropped to $148.5 million (990,000 shares * $150 per share). The stock’s lower P/E ratio and higher EPS make the stock more attractive presumably causing investors to purchase the stock and push the price up. Equilibrium is reached when the stock price rises from $150 to $151.52 per share. At that price, the stocks price per earnings is again 15.0 ($151.52 divided by $10.10). And the company is again worth $150 million. If the stock price of the 990,000 shares rises by $1.52 this brings a value of $1.5 million to its remaining shareholders, exactly the cost of the share buyback. 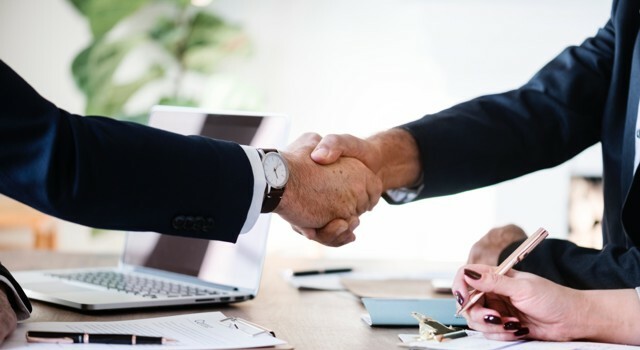 Stock buyback programs are therefore a method of returning profits to shareholders without paying dividends and therefore without causing a taxable event to shareholders. Do stock buybacks bring any benefit or harm to society? Notice that a company buyback program appears to do little benefit or harm to anyone. Corporations and shareholders cannot use the technique to engorge their profit or portfolios, neither does it take advantage of workers or customers in any way. By itself, a stock buyback program is economically neutral. There is nothing nefarious or crafty about this technique. Sellers are not required to sell. In fact, every investor who is part of a dividend reinvestment plan (DRIP) is engaging in their own personal stock buyback program. Reduce share price volatility. The markets are inherently volatile and this volatility makes owning stock in a company less attractive. If you had to wait for an investor wanting to purchase your shares, stock prices could temporarily drop to zero if there were no buyers. The first pass of volatility reduction is done by market makers who must always be willing to buy or sell shares in a particular stock. Market makers follow set rules for moving prices up or down as there are more buyers or sellers throughout the day. When a company is engaged in a stock buyback plan, they provide a floor on market movements, buying at times when market makers might otherwise drop the price precipitously. This work provides another layer of stability to the market for this particular stock. But because daily stock buybacks are limited to 25% of a stock’s average daily volume, buyback programs can’t prevent drops in price entirely, they can only slow them. Empower shareholder tax management. Stock buyback programs give shareholder’s the value of a portion of their earnings as capital appreciation. Capital appreciation can be realized by shareholders when they decide to sell the stock rather than being taxed when companies decide to issue dividends. Shareholders may be able to avoid capital gains entirely if families wait to sell until after the stockholder dies and the stock experiences a step-up in cost basis. Or shareholders can avoid capital gains during their lifetime by using the appreciated stock for charitable gifting. Additionally, capital gains may be taxed at a lower rate than dividends if the dividends are unqualified. There is a narrative among Democrat news agencies that the only reason the stock market has done well during the Trump Presidency is because companies have been buying back their own shares. This narrative feeds a politically motivated confirmation bias among Democrats that nothing done by President Trump could have any positive value. Numerous other stories and opinion pieces in the media suggested that companies instead of “giving billions of dollars to their shareholders” should “invest in something more productive and broadly beneficial to the economy.” These critics do not believe that company boards should work primarily on behalf of shareholders, often criticizing the idea as “shareholder primacy.” But if boards failed to act in the interests of shareholders, they would be breaching their fiduciary duty. There are always advocates of what good should be done with other people’s money. Employees freely choose to work for companies that provide rewards of respect, meaningful work, and attractive compensation. Customers freely choose to patronize companies that provide an attractive product or service for the money spent. But stock holders are the ones that own the company and their interests should be the primary concern of the board’s who are responsible for representing them. Stock buyback programs are primarily vilified by those who want to vilify stock ownership in the first place. Even asking, “Are Democrats Or Republicans Better For The Stock Market?” is ultimately a foolish question both for politics and investing. Stock buybacks are neither the cause of stock market movements nor are they detrimental to society as a whole.